On the occasion of the 14th International Architecture Biennale in Venice, curated by Rem Koolhaas, Lisson Gallery and Berengo Studio present an exhibition of sculpture and installation that addresses the complex spheres of the public realm and the built environment. The Latin term genius loci, originally referring to the presiding or guardian deity of a land, is now used to describe the particular essence and unique qualities of a place. Beyond the museum and gallery walls, public art can help define the character of its location by functioning harmoniously or in active dialogue with the architecture or landscape it inhabits. 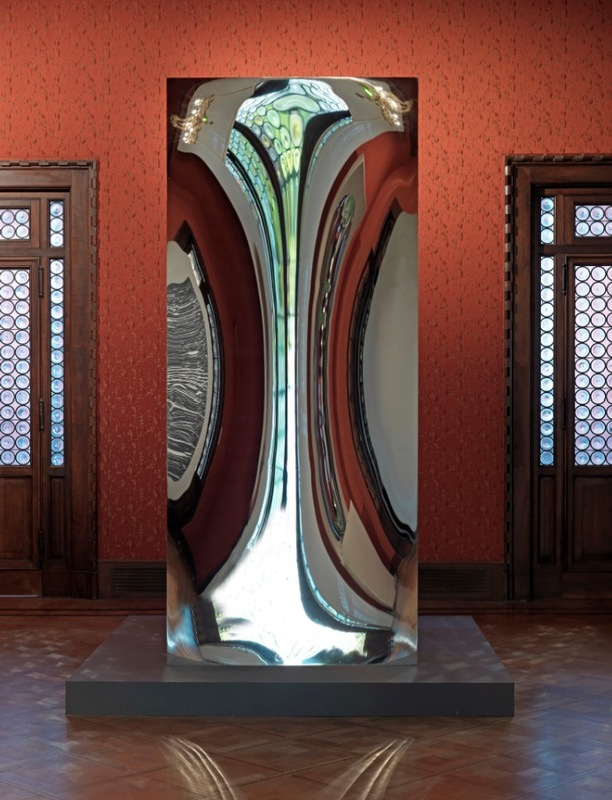 As an experienced commissioner of large-scale contemporary art, Lisson Gallery is exhibiting major art works by 15 internationally renowned artists, both inside and outside the historic Venetian Palazzo Cavalli Franchetti. The exhibition includes models, sculptures, drawings and projects by artists including Ai Weiwei, Daniel Buren, Dan Graham, Shirazeh Houshiary, Anish Kapoor, and Lee Ufan, all of whom have made significant contributions to art in the public domain through works that complement or challenge their surroundings. The exhibition, Genius Loci – Spirit of Place will also include a specially designed zone by critically acclaimed architects Carmody Groarke, documenting some of the most ground-breaking public art commissions of the late 20th and early 21st century. Also on display will be significant works in glass fabricated by Berengo Studio.